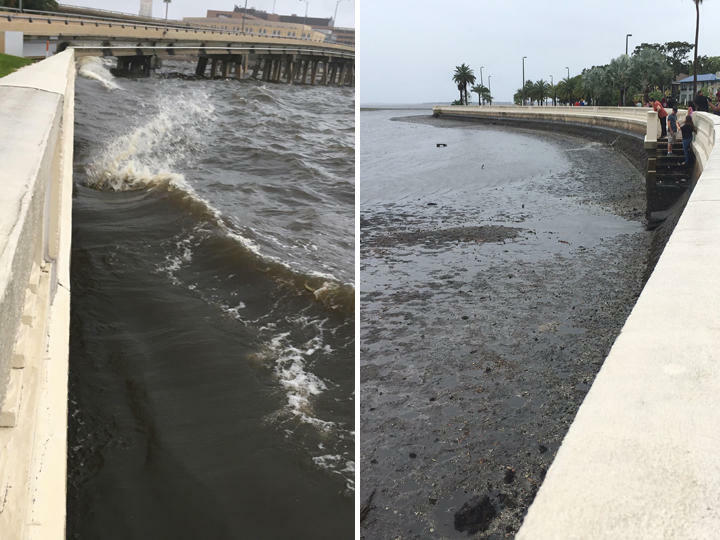 Tampa Bay empties of water (right) before Hurricane Irma on Sunday and is full again (left) on Monday. Bay News 9 meteorologist Josh Linker explained the phenomenon, which isn’t uncommon, was a result of strong offshore winds that persisted for hours. “(The winds) acted to push the water out, just the opposite as if a storm was coming in that would push the water up on shore,” said Linker. Hillsborough Bay sits dry Sunday ahead of Hurricane Irma's arrival. The hurricane was rotating in a counter-clockwise direction. 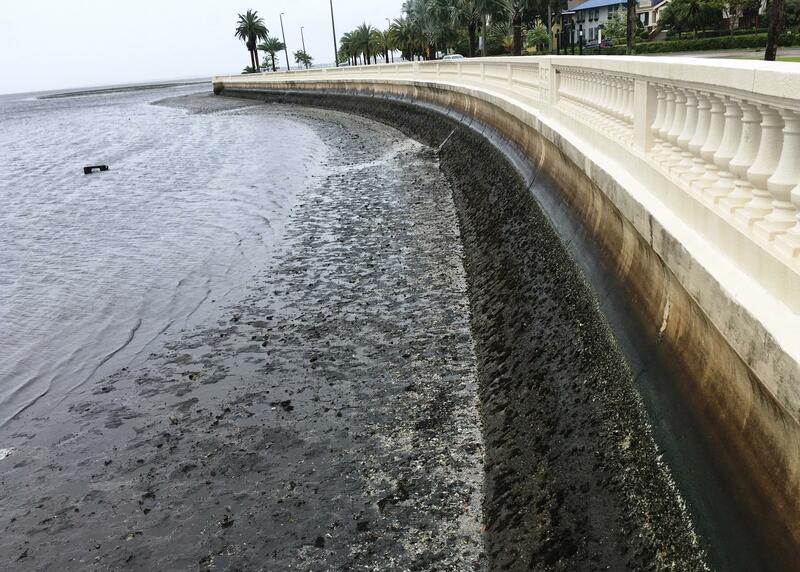 Because the storm was coming in from the south, the northwest side of Irma blew water in the Tampa Bay area out to the Gulf, thereby resulting in multiple drained bays. In Tampa Bay, water levels dropped as much as six feet. Tampa Police were concerned with the inevitable storm surge and ordered everyone off the bare seabed. However, Linker doesn’t see the danger in exploring the rarity. Seabeds and mud-flats weren’t the only things uncovered by the wind-induced setback; a couple of manatees were stranded in Sarasota Bay. Rescuers eventually managed to drag them to deeper water. 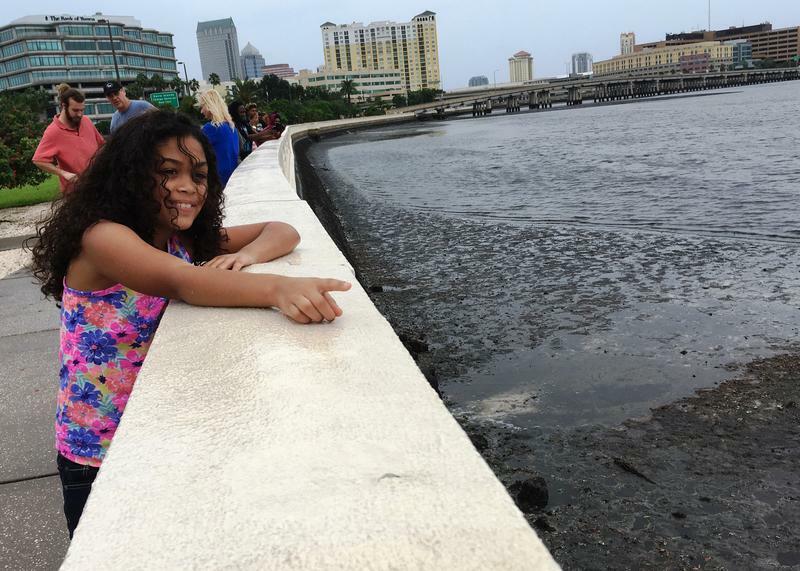 The displaced water has since been returned to the bay following the passing of Hurricane Irma.